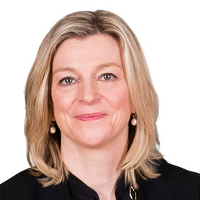 Compass Group today announces the appointment of Karen Witts to its Board as Chief Financial Officer. Karen joins Compass from Kingfisher PLC where she has been Group Chief Financial Officer and a member of the board of directors since 2012. She will begin her appointment on a date to be agreed and will also join the Corporate Responsibility Committee. Prior to working at Kingfisher, Karen held senior finance positions at Vodafone Group PLC and BT PLC. Karen’s early career included finance roles at Paribas, Grand Metropolitan and Ernst & Whinney. Karen is a non-executive Director and Chairman of the audit committee at Imperial Brands PLC. Karen will succeed Johnny Thomson who, as previously announced, is standing down from his role as Group Finance Director at the end of December 2018. Palmer Brown, currently Chief Corporate Investment & Risk Officer Compass Group North America will become Interim Chief Financial Officer on 31 December 2018 and will serve in that position until Karen’s appointment commences, but will not be a member of the Board. There are no matters which require disclosure in respect of Ms Witts in accordance with LR 9.6.13 (2) to (6).